All saw blades are not alike! 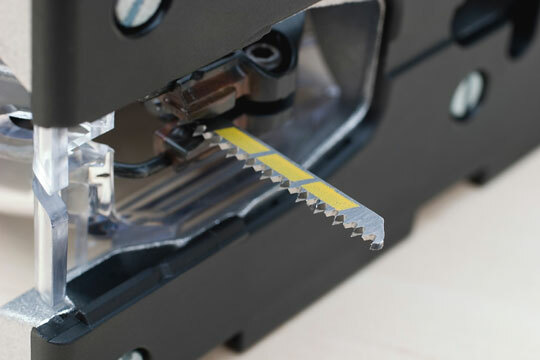 There are a variety of saw blades that are available to both amateur and professional woodworkers, depending upon their particular woodworking needs. There are blades designed for circular saws, jigsaws, and band saws, as well as hacksaws, coping saws, and other specialized types of saws. 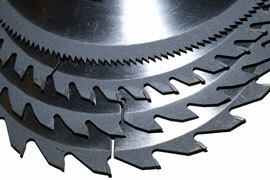 The most important factors to consider when choosing a saw blade are the composition, shape, and geometry of its teeth. 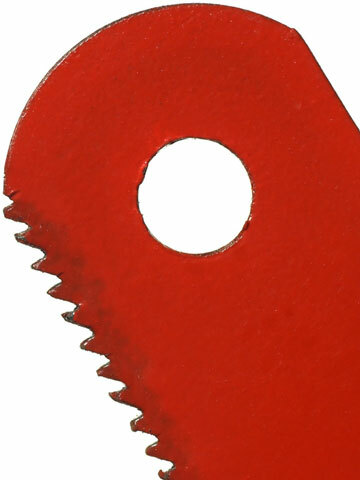 These three factors will determine what kinds of projects the saw blade is best suited for. Teeth can blunt and square or pointy, tipped forward or backward, or be the same shape or different shapes. As a general rule, the more teeth a blade has, the smoother it cuts. However, more teeth always means slower cutting and more force required. Fewer teeth means faster cutting speed and a reduction in force required. In addition to the number of teeth on a blade, their shape and location affect the force that is needed to cut, as well as the speed and quality of the cut. The way the teeth are positioned is called a "grind." A flat-top tooth is square. While it cuts somewhat like a chisel and is known for plowing nicely with the grain, it also splinters its way roughly across the grain. An alternate top bevel blade has teeth that angle from side to side, and is used to create crisp edges. Because it cuts well both across the grain and against it, it's the most widely used type of tooth grind used on general-purpose blades. While steeper angles cut cleaner, they also aren't as durable. A third type of major grind is called the triple chip. In the triple chip grind, a chamfered tooth is alternated with a flat-top tooth. This grind is commonly used for sheet goods, as the chamfered teeth score the material, minimizing chipping and tear-out. Finally, the alternate top bevel plus raker has a combination of teeth, usually a grouping of three alternate top bevels and one raker. When it comes to blades, there are five basic styles, each designed for different materials and cutting tasks. A rip blade has big, uniform gullets, 24 flat teeth, and 15 degrees to 18 degrees of hook. Different saw blade varieties include fewer or more teeth, as well as different degrees of hook. A cutoff blade can be recognized by its many teeth. Most have between 60 and 80 teeth and 10 degrees of hook. The high tooth count allows for a smooth cut, and cutoff blades in general are good for slicing cleanly across the grain. The combination blade is a very popular blade, and is usually made up of 50 or so alternate top bevel plus raker teeth. This versatile blade cuts a variety of materials very quickly, with a minimal amount of splintering. The all-purpose blade is the most commonly used blade. These blades can do a little of everything, and usually have about 40 teeth. This venerable saw blade company offers professional-grade saw blades, hole saws, and abrasives. Features blades for table saws, radial arm saws, and chop saws. Specializes in carbide-tipped saw blades and dado sets. Offers a diverse line of circular saw blades for most saw models, materials, and sawing applications. This manufacturer and marketer of carbide cutting tools features long-lasting circular saw blades and accessories. Features a comprehensive online catalog, with saw blades for circular saws, reciprocating saws, and sabre saws. 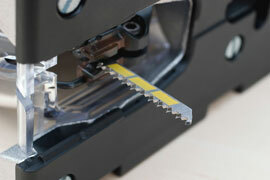 Table Saws - table saw guide.